If you have a passion for performance, take a serious look at the 2019 Jaguar F-Type. It delivers one of today's most intoxicating driving experiences. While this British sports car packs the necessary performance, a luxurious cabin makes it even more rewarding to drive. To experience the ultimate fun during the summer, choose the breathtaking convertible model. Despite its long list of exciting qualities, the Jaguar F-Type does have some key weak points. Should you consider buying one? This year, Jaguar has updated the F-Type by adding new safety features. Drivers can also take advantage of the automaker's revamped infotainment system. Drivers looking to limit their spending should consider the base 2019 Jaguar F-Type. It comes equipped with a turbocharged four-cylinder engine, which pushes out a refreshing 296 horsepower. With a competitive 0-60 time of 5.4 seconds, the base F-Type will have no trouble fulfilling your need for driving excitement. An active sport exhaust comes standard, which adds more fun to your drive. Fuel economy stands at a combined 23 mpg on premium unleaded. Drivers seeking enhanced performance have some more powerful engines to choose from. 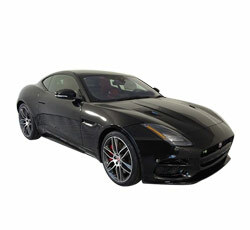 The supercharged V6 can develop up to 380 horsepower, which lowers the F-Type's 0-60 time to 4.8 seconds. Stepping up to range-topping SVR model rewards you with even more power under the hood. Jaguar tuned its supercharged V8 engine to kick out 575 horsepower and 516 pound-feet of torque. Unlike the automatic-only base model, the upper trims can be equipped with a six-speed manual transmission. The 2019 Jaguar F-Type isn't just a rocket on the street. It also offers world-class handling. You can definitely take it to the track. Even when driven hard, this car feels very stable. While the base F-Type can quickly change directions, the high-performance models are especially agile. An adaptive suspension and a limited-slip differential help improve the car's responsiveness. You can also adjust the F-Type's steering to suit your preferred driving style. While the 2019 Jaguar F-Type is a classic RWD sports coupe, you can benefit from Jaguar's optional AWD system. Folks who live in snowy areas will not be forced to keep their F-Type garaged throughout the winter. However, this sophisticated AWD system isn't just meant to promote better traction in wet weather. It aids handling by giving the F-Type more grip in corners. There's no overlooking the Jaguar F-Type's provocative exterior styling. Its sculpted contours and muscular posture will cause everyone to take a second glance. Although the higher trim levels may pack more power, the base P300 looks nearly just as eye-catching. LED ‘J’ blade running lights come standard. A center-exit exhaust also helps give the base F-Type an exotic appearance. British Racing Green, Caldera Red, Fuji White are some of the available paint colors. In previous years, Jaguar charged extra for most of its advanced safety technologies. Fortunately, the 2019 Jaguar F-Type now comes standard with some comforting driving aids. While automatic emergency braking helps prevent you from crashing into an unexpected obstacle, lane-keep assist prevents you from accidentally roaming across the line. other standard safety technologies consist of a drowsiness monitor, rear parking sensors, and traffic sign recognition. The inside of the 2019 Jaguar F-Type feels very extravagant. It's obvious that Jaguar made luxury a big priority. Although upgraded Windsor leather is available, most people will have no complaints about the standard leather and microsuede upholstery. Heated and ventilated seats are available for the folks who want the maximum comfort. Cool interior touches, such as the F-Type's retractable HVAC vents, make the F-Type feel even more special. This is certainly not a bare-bones sports car. The majority of buyers will be more than happy with the F-Type's list of standard in-car technology. While the standard 10-inch navigation screen with real-time traffic helps you to find the easiest route to your destination, the Meridian sound system makes music listening more enjoyable. A reversing camera and Bluetooth comes standard as well. One of the best aspects of the 2019 Jaguar F-Type is its simply intoxicating exhaust note. While an active exhaust system is found throughout the lineup, the V8-powered models sound especially breathtaking. Some driving enthusiasts rank it among the top five best-sounding performance cars on the market. Upon punching the throttle, you will immediately be taken aback by the car's beastly rumble. Coupe versions of the new F-Type provide a good amount of trunk space. This is a major plus for the drivers who plan to travel on a regular basis. There's an impressive 14 cubic feet of available luggage space. Prices for the 2019 Jaguar F-Type start at a little more than $60,000. 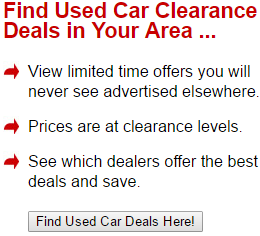 This may prove to be a bit too steep for the average car buyer. Models equipped with a V8 engine are even pricier. You can anticipate spending more than $100,000. If you're looking for a more budget-friendly sports car, take a look at the 2019 Nissan 370Z. If you happen to be claustrophobic, the Jaguar F-Type's is not a good choice. It's cabin will feel a bit confined. This two-seater definitely doesn't provide a great deal of passenger room. A rather low roof and limited footroom make the F-Type less suitable for larger drivers. Furthermore, seniors will likely grow tired of squeezing in and out of the F-Type. Folks who find the F-Type to be a tight fit should check out the Porsche 911. When it comes to dependability, Jaguar doesn't have the greatest reputation. Like so many of Jaguar's previous vehicles, the new F-Type has a very low predicted reliability rating. Buyers should definitely set aside extra money for future repairs. After the the F-Type's 60,000-mile warranty runs out, you must cover the cost of maintenance. Jaguar has made some improvements to its Touch Pro infotainment system. However, it still does not rank among the class leaders. Smartphone integration is certainly not the best. Apple CarPlay and Android Auto remain absent. Sadly, the base P300 model can't be equipped with a traditional manual gearbox. This feature would surely appeal to driving enthusiasts. Although the eight-speed automatic transmission feels smooth when accelerating at highway speeds, it can bit a bit clunky around town. Drivers who want to change their own gears must step up to a more powerful model. Before you spend the money on a new 2019 Jaguar F-Type, be sure to sample the 2019 Porsche Cayman. It's more reliable and has a lower starting price. However, the F-Type's sheer power will ultimately win over some buyers. You should also consider the 2019 Chevrolet Corvette. This American performance machine can compete against the world's best. Although the Jaguar is a strong performer, it can't match the Corvette's track capabilities. Bigger drivers will also prefer the Corvette. However, you'll find the F-Type's cabin to be more luxurious. Improved driving dynamics make the 2019 Ford Mustang a less expensive alternative to the 2019 Jaguar F-Type. Like the F-Type, the Mustang can be equipped with a sweet-sounding V8 engine. While the Mustang may not match the F-Type's wow factor, it's nearly just as entertaining to drive. You'll also like the Mustang's more practical design. Understandably, the 2019 Jaguar F-Type is seen as a dream sports car by many people. It's jaw-dropping fast, sleek, and loaded with modern features. While the coupe provides more cargo space, some drives will fall in love with the convertible F-Type. Although the F-Type is an appealing sports car, its tight interior and questionable long-term reliability will turn away some people. 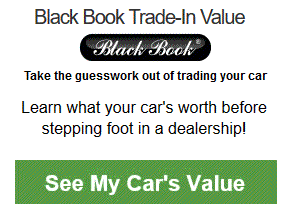 You should also check your finances before buying the new F-Type. • Why Buy a 2019 Jaguar E-Pace? • Why Buy a 2019 Jaguar F-Pace? • Why Buy a 2019 Jaguar F-Type? • Why Buy a 2019 Jaguar XE?